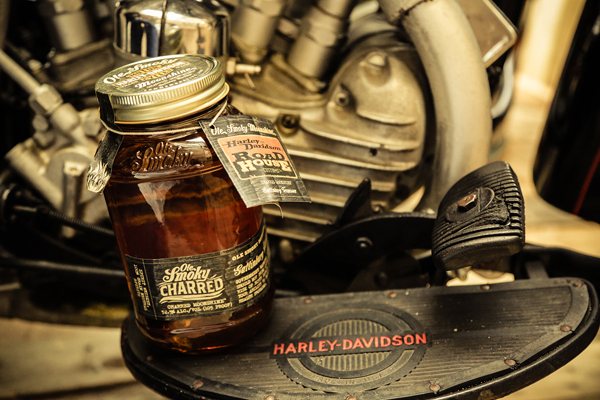 Century-old, Tennessee-based Ole Smoky Moonshine Distillery and Harley-Davidson partnered to present the Harley-Davidson Road House Customs Charred Moonshine. A fine, hand-crafted mountain whisky, bottled in Ole Smoky’s iconic Mason jars at 103 proof, a nod to the twin-cam 103 motorcycle engine. “The moonshine that celebrates the ride” is sold $39.75.